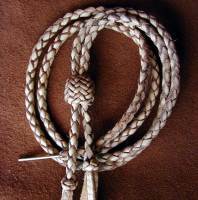 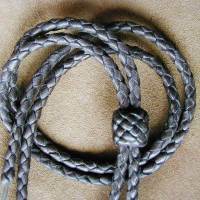 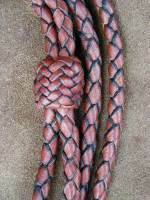 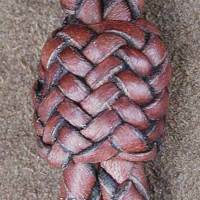 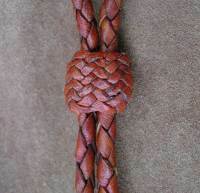 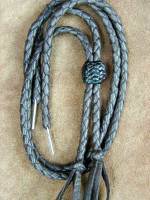 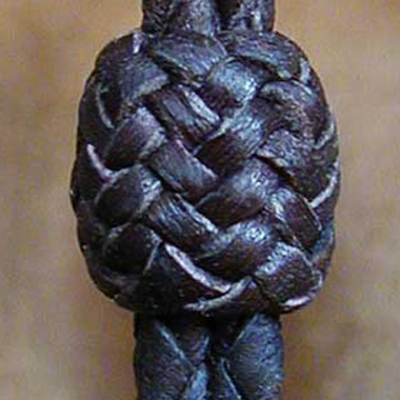 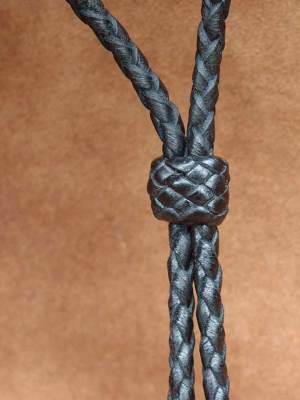 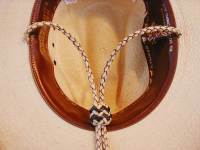 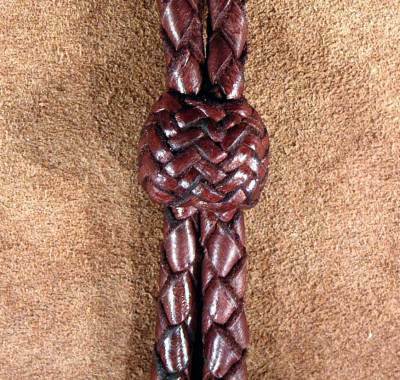 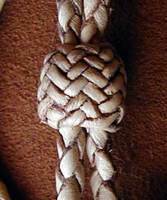 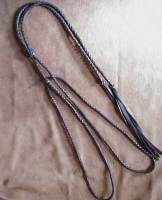 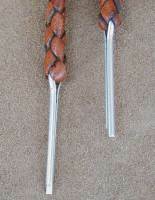 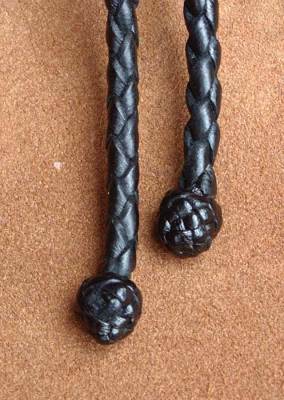 We 2 main types of braided deer leather chin straps. 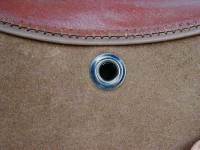 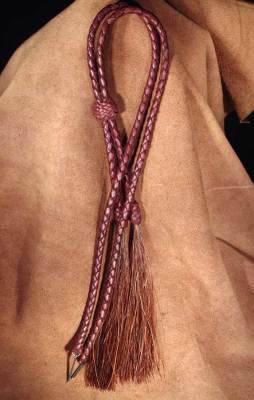 Both styles come with a braided slide knot and your choice of tassels - or not. 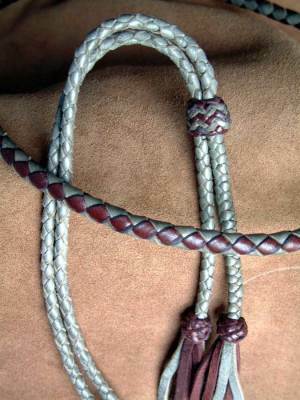 Anything can be customized. 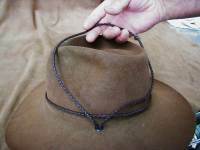 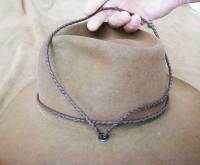 A full loop style braid that goes around the crown of the hat twice to form a hatband/chin strap combination all in one. 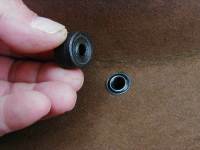 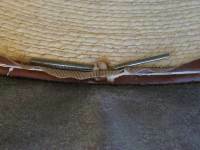 And a type that attaches easily with a split pin inside the sweatband of your hat. 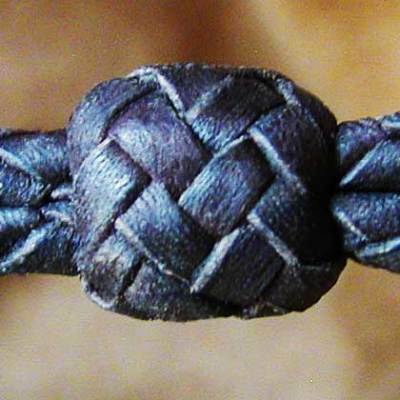 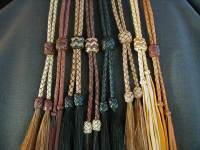 Deer leather makes a supple and strong braid that feels good and wears well.​ Comfort for your chin!! 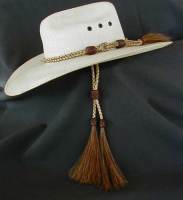 Easily attach to any hat with a sweatband. 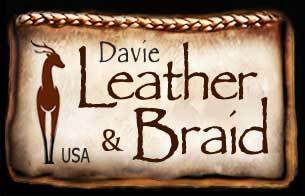 Deer leather chin strap w/ custom length. 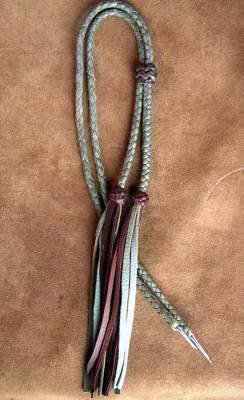 colors, knots and tassels. 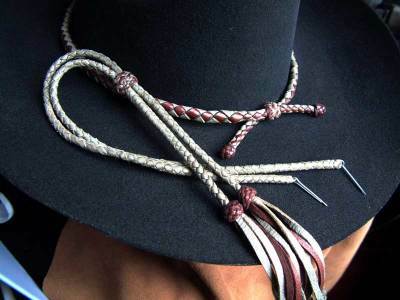 Or no tassels at all. 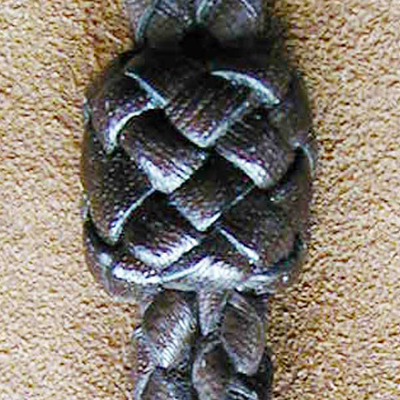 Normal length is about 17.5" braid length. 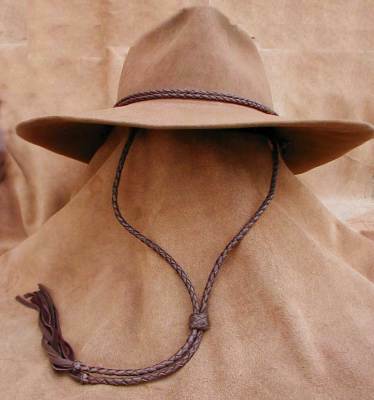 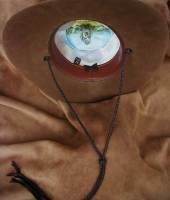 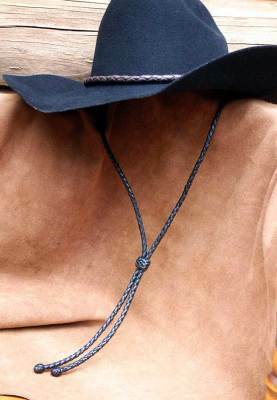 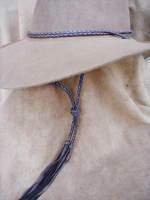 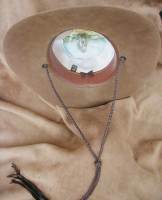 Braided deer leather loops that go thru eyelets on each side of the crown and loops over the top of the hat forming a hatband/ stampede string combination in one. 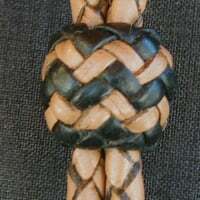 Includes any choice of knot and color combinations. 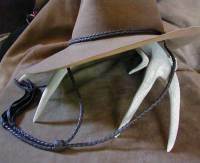 Makes a very substantial chin strap. 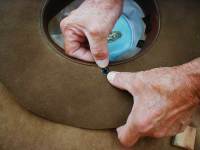 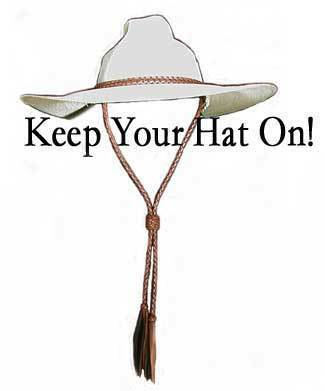 Good for hard working hats. 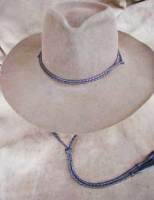 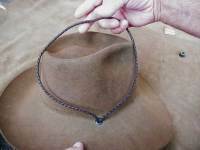 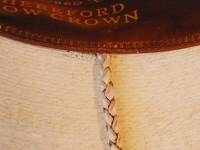 We hand cut the thongs to be about 1/8" diameter braid for the hatband and 1/4" for the stampede strings. 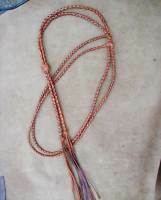 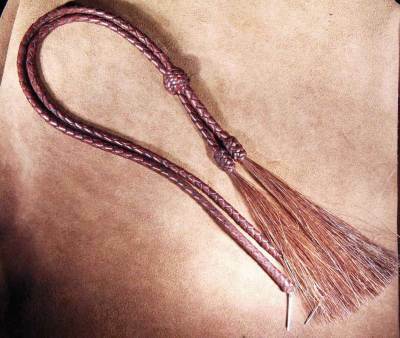 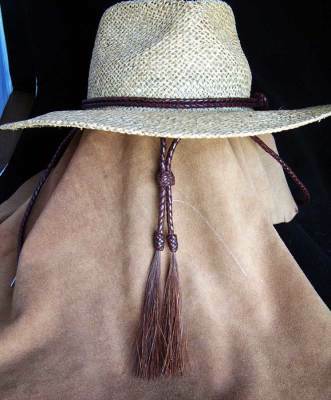 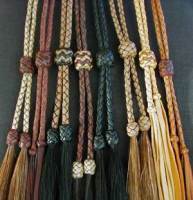 $88.00 with leather tassels, any knot or color combination.